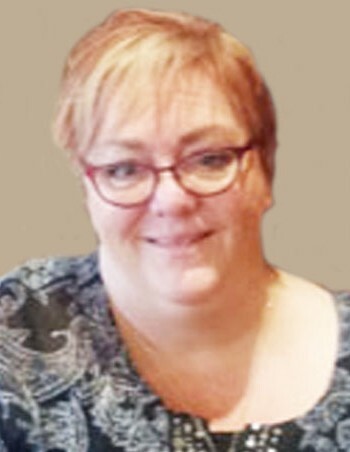 Karen Rager Nieto, born March 14, 1962 in Murray, Utah, to Clare and Mary Agnes Rager, was called Home, surrounded by her family, on July 29, 2018 in Murray, Utah. Bachelor’s of Science degree in Sociology and later earned her Special Education certification from Utah State University. Karen started her life-long career as an educator at Kearns Middle School. Since then, she has touched many lives as a teacher, friend, and community member at Decker Lake, Granite High School, Salt Lake County Detention Center, and most recently Cottonwood High School. Karen married her “honeybear” Ramon Nieto on July 14, 2001, and gained a daughter, Samantha Lee Nieto. Karen gave birth to her daughter, Gabrielle Marie Nieto, on August 8, 2002. Her family was the light and motivation of her life. She is survived by her parents, brother and sister-in-law Gary and Karen Rager, and sister, Diane Rager Moore. Karen was a wonderful daughter, sister, aunt, wife, mother, but most importantly, she was a friend to any and everyone she met. She will be greatly missed for her warm personality, witty humor, and kind gestures. She will be remembered for her creativity, her amazing story-telling, and her strength above all else. Karen dedicated her life to be a teacher, and her legacy will live on in all her students, and her daughters. A special thank you to “her team” of doctors, especially Dr. Julie Day, Dr. Steven Trapp, Dr. Scott Clark, and the U of U wound care team. A Rosary will be held at Goff Mortuary on Thursday evening, August 2nd at 6:00 p.m. with viewing to follow. Funeral services will be held at Goff Mortuary Friday, August 3rd at 10:00 a.m., with a viewing from 9-9:45 a.m. Interment will be held at Sandy City Cemetery. In lieu of flowers, please consider donating to the charity of your choice in Karen’s name.